It’s 80% diet, 20% exercise . Now if I can just get up and move I would see results.. 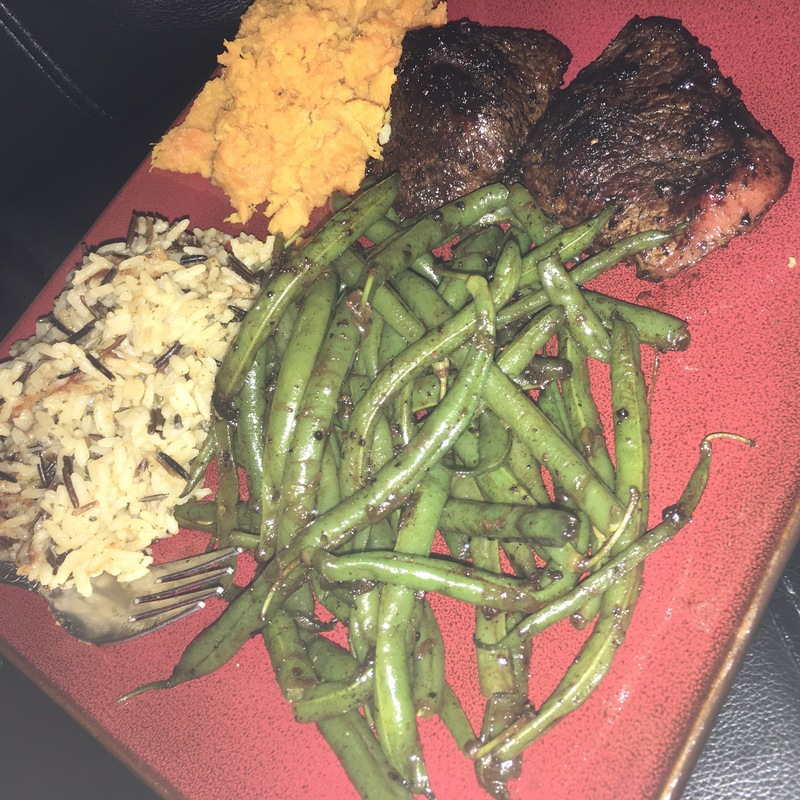 This entry was tagged clean eating, Cooking, food-blogging, rice, steak, sweet potatoes, vegetables. Bookmark the permalink. Thanks! It was amazing for my first time cooking steak!